startups with the best support. We are happy to introduce our pool of dedicated and experienced mentors! Our companies are assigned one or more mentors whose skills and expertise match the needs of their company. ACE program participants have access to our network of service providers, who offer financial, tax and legal advice, grant support and more. 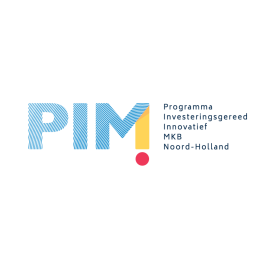 PIM (Programma Investeringsgereedheid Innovatief MKB) helps innovative and sustainable entrepreneurs get funded. PIM offers tailored advice, insights on financing opportunities and masterclasses & workshops. of the province of Noord-Holland.